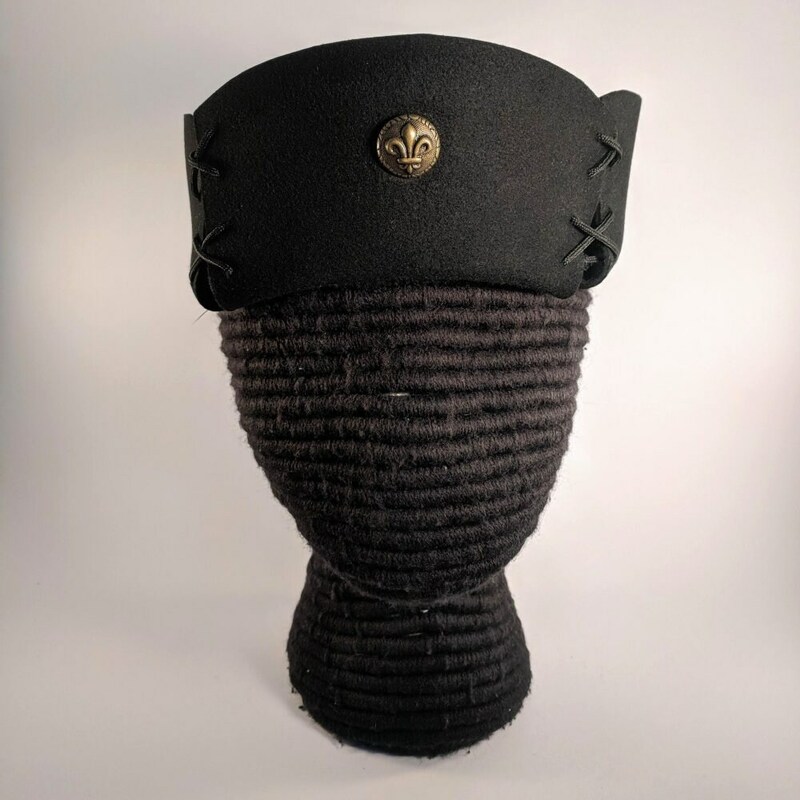 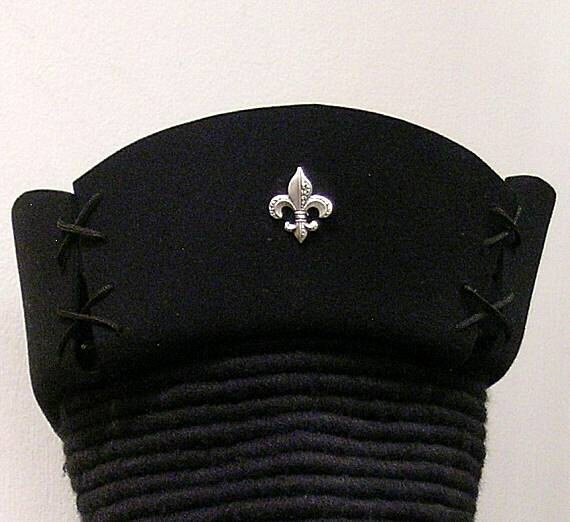 This slashed and laced hat is made of black wool felt and embellished with a handmade pewter Fleur De Lis button. 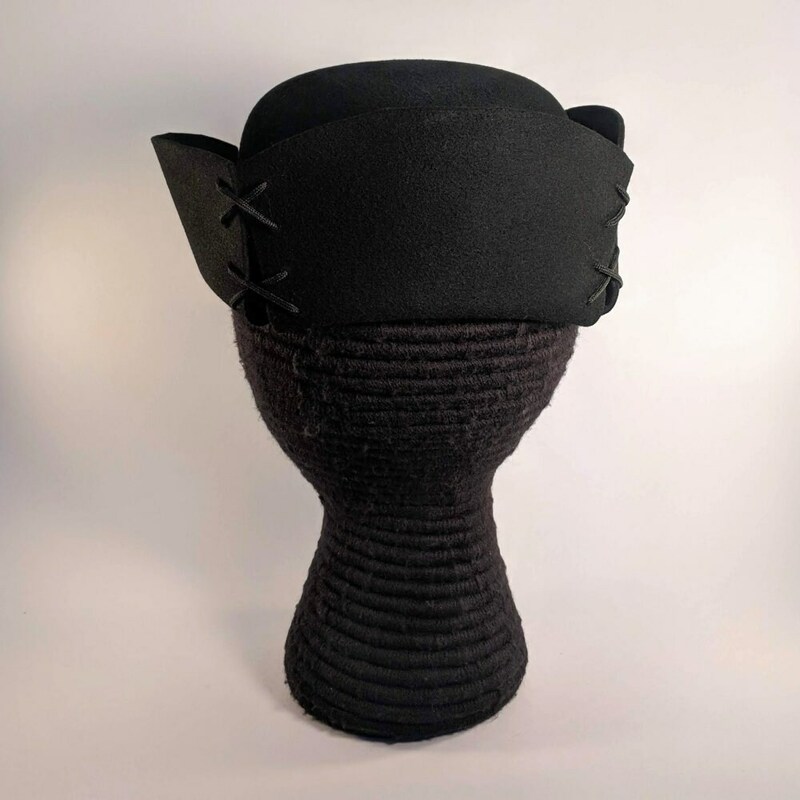 Your choice of 2 designs...Cut Out or Round Domed. 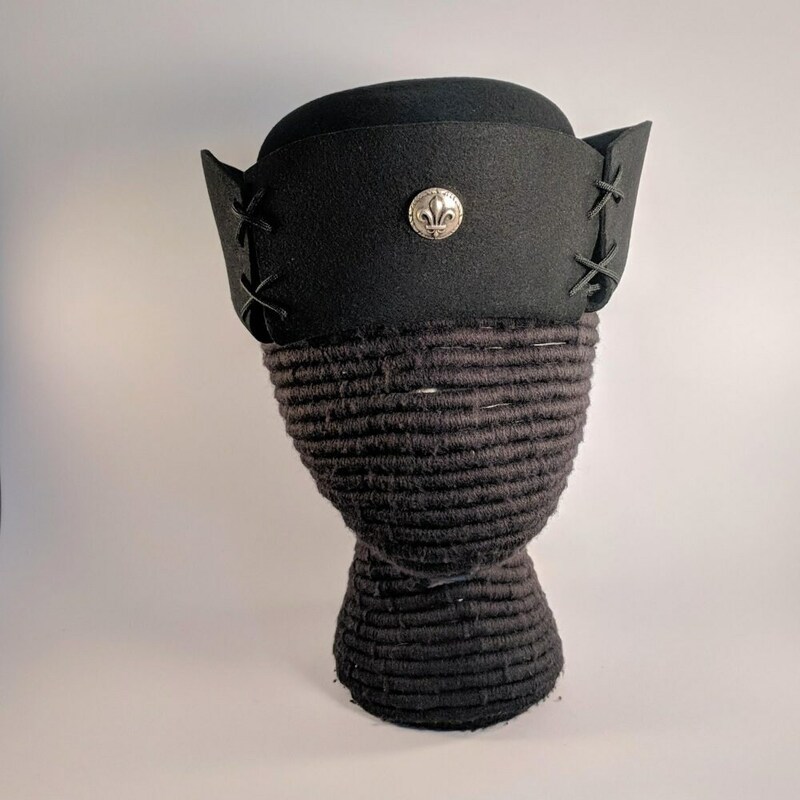 Sorry, no pictures of the round one on a hat at this time. 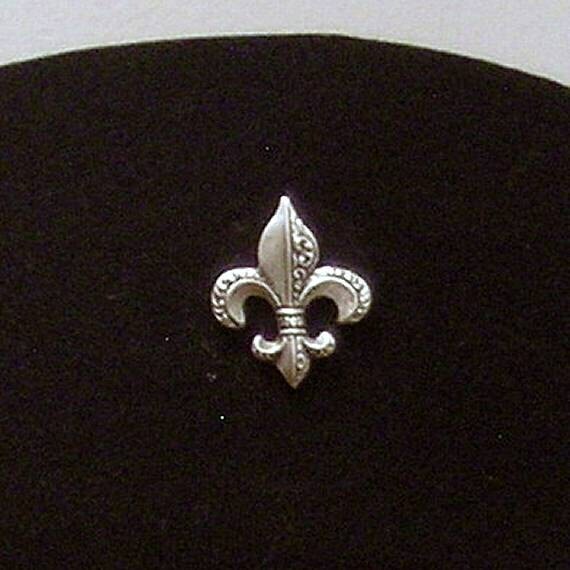 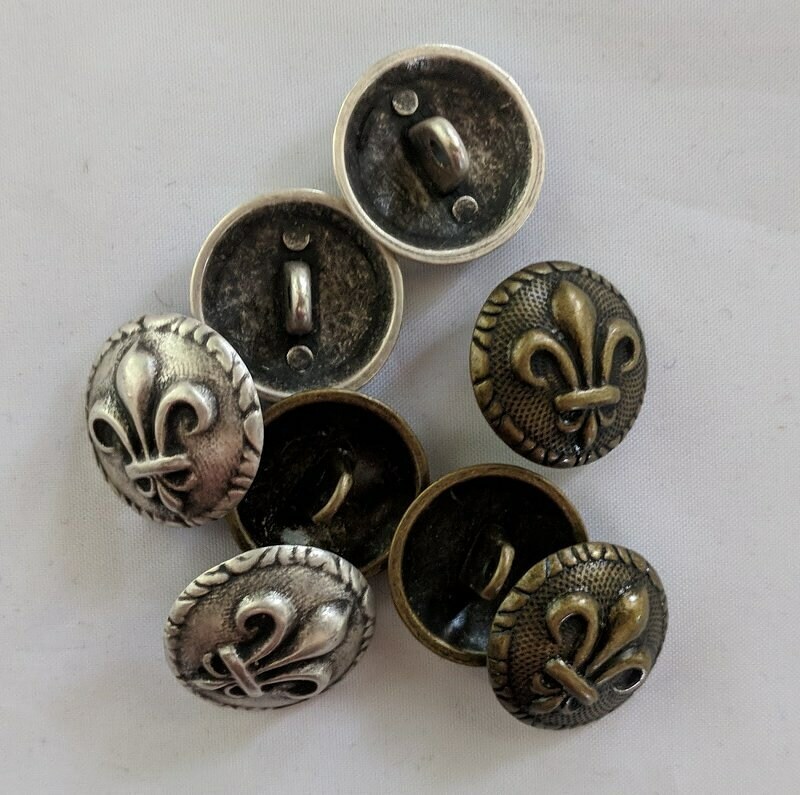 NOTE: The three petals of the fleur de lis represent the three medieval social classes: those who worked, those who fought, and those who prayed. 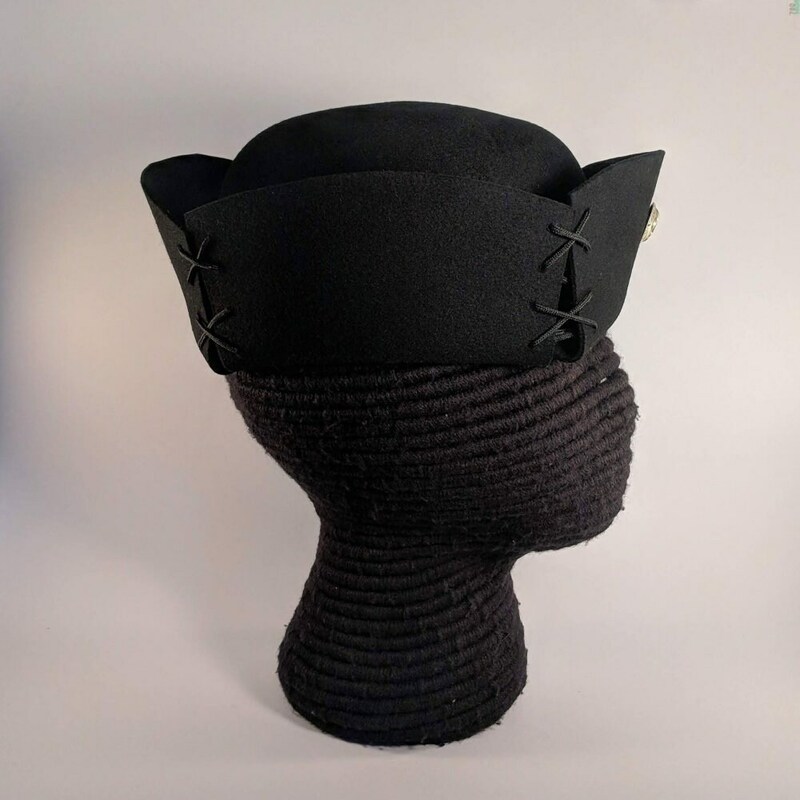 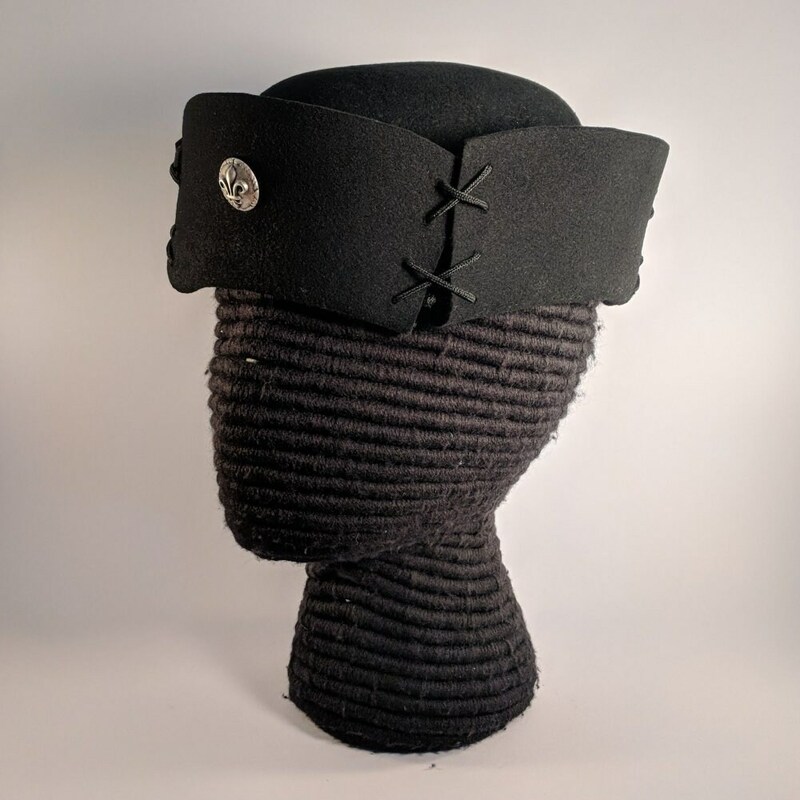 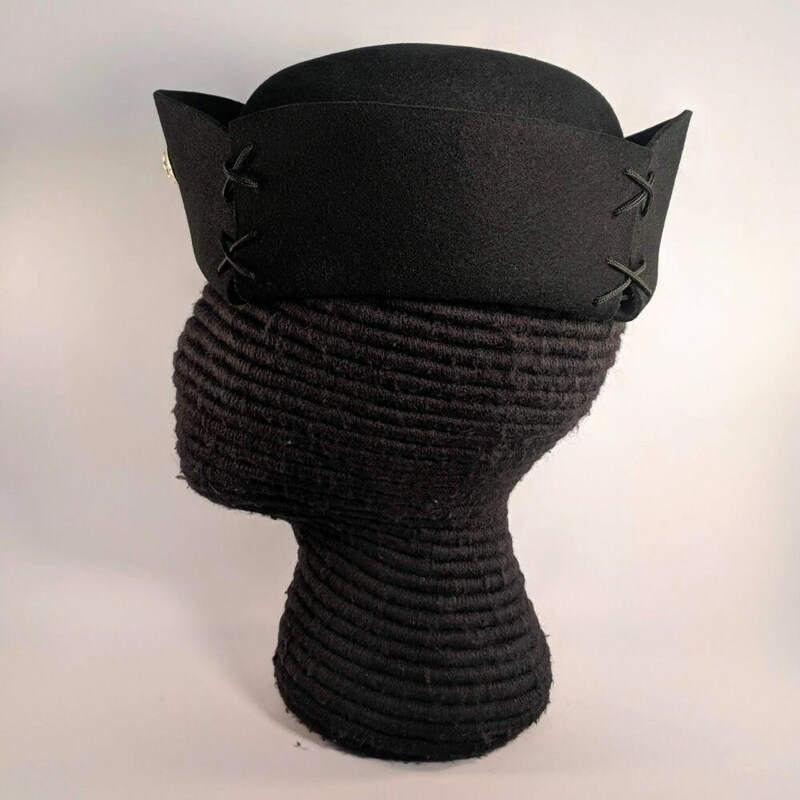 Buy this four sided felt hat to top-off your Burgundian or early Tudor outfit. 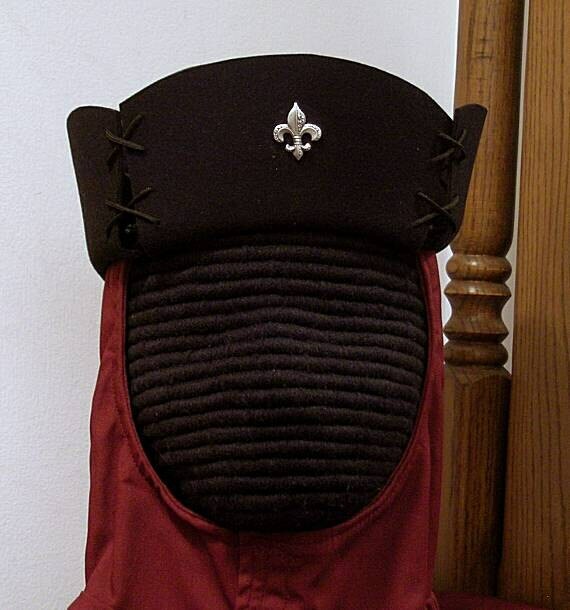 Perfect for cotehardies, houplandes and other 15th and early 16th male clothing and even late 16th c. Italian.